John Barrowman is a well known actor, author and singer. He appeared on a few American programs, but first became well known here as Captain Jack Harkness on Doctor Who and Torchwood. These days he’s Malcolm Merlyn on Arrow and the other CW shows. He’s also a mainstay at cons all over the country, and always wildly entertaining. Barrowman has a tireless social media presence. His professional career stretches back to 1989 and West End in London. Born in Scotland, the youngest of three children, Barrowman moved to the US as a child. He primarily lives in the US now, with his English husband, Scott Gill, but maintains close ties to the UK. He still appears on British television and spends Christmas almost every year doing panto in Glasgow. Barrowman got his first big break in 1989. 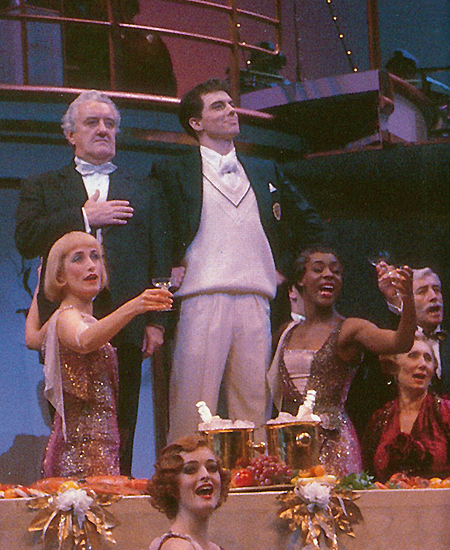 According to his biography, he was visiting family in Scotland when a cousin told him about an open audition for Anything Goes, staring Elaine Paige and Bernard Cribbins. They were looking for a man who could “sing, dance and do an American accent.” Since he knew a guy very well who could do those things, he auditioned and was almost immediately offered the part. Over the next fifteen years Barrowman appeared in a variety of musical productions, including Miss Saigon, Phantom of the Opera, Beauty and the Beast, Company and Sunset Boulevard. In the early 2000s he participated in a revival of Anything Goes. But his life was about to change dramatically. As a lifelong Doctor Who fan, Barrowman jumped at the chance when he was asked to audition for the show in 2005. He was cast as Captain Jack Harkness, a former Time Agent who’s primary skills were charm, flirting and quick thinking. After spending half a season as a companion of the Doctor, his character was killed. However, in Doctor Who things aren’t always as they seem and he was brought back to life. Now immortal, his character was left behind by the Doctor and went off to star in his own spinoff. Torchwood is a more adult show then it’s family-friendly parent. 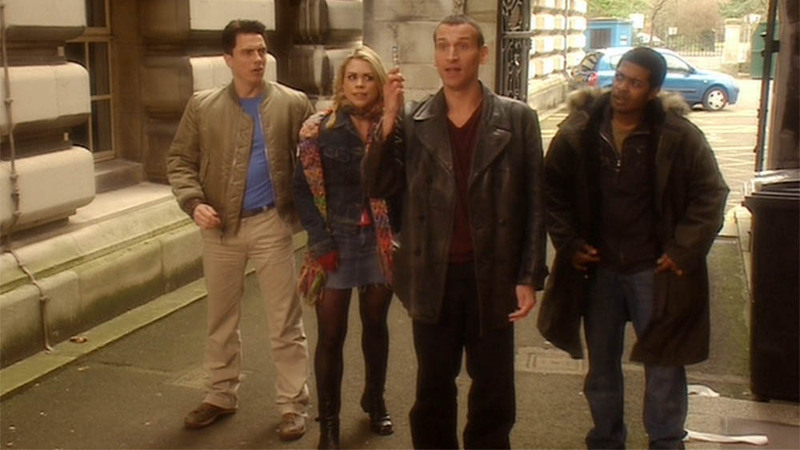 Barrowman returned as Jack Harkness, leading a group in Cardiff as they watched over the city and dealt with various aliens, humans and one ex-boyfriend of Jack’s. The show went for two regular seasons and one mini-series. In addition, Showtime produced one series for American audiences. Barrowman kept plenty busy over the next years, staring in his own variety show Tonight’s the Night and appearing in more productions, including La Cage Aux Folles. He hosted several British shows and appeared in Desperate Housewives. Barrowman released a few music albums and toured the UK in support of them. In 2012 John Barrowman began appearing on Arrow as Malcolm Merlyn and the Dark Archer. What started off as a few appearances became a regular role, not only on Arrow but on the other CW shows. In 2014 he was appointed a Member of the Order of the British Empire, for his charity work. In addition to all of that, he has cowritten a number of books with his sister, Carole. They have collaborated on two autobiographies of his life and an award-winning children’s series. They’ve also written comic books, including the most recent Torchwood series that launched last August. And Torchwood seems to have as much life in it as it’s Captain, now as audiobooks produced by Big Finish. 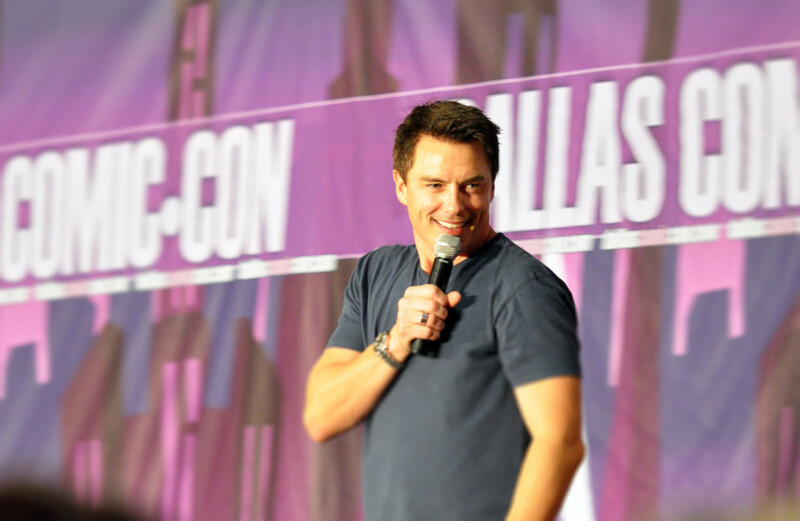 Barrowman is a mainstay on the convention circuit, tirelessly going out to meet his fans. His Q and A’s are always highly entertaining. He keeps very busy with his Twitter and Facebook and he’s very involved in LGBT rights. John Barrowman has had an amazing career, and, as he celebrates his fiftieth birthday we can all look forward to whatever he does next. What’s your favorite John Barrowman role? Oh yes, John’s my go to when I’m in a bad mood. Always going to love John in “Putting It Together.” Not only was the show fabulous, but he looks like a Disney prince. Oh yes, that fabulous red shirt. This is a youtube video of it for anyone who hasn’t seen it.